Our financial assistance can offer children the opportunity to attend some AMAZING camps for very little money. The Potomac Valley Audubon Society provides scholarship assistance to area children (Jefferson, Berkeley and Morgan Counties in WV, and Washington County in MD) from PVAS member families in need of financial assistance. When awarding scholarships, we prioritize families with financial need defined as those who qualify for the Federal Free/Reduced School Lunch Program. Applications for daytime Discovery Camps or overnight camps must be postmarked by April 5, 2019. The Camp Scholarship Committee meets soon after that date to consider all applications. All persons who apply for camp assistance will be notified about the status of their application by May 1. If your financial situation meets our definition of those in financial need, you will very likely be awarded at least partial coverage for a camp session. Do not register for camp if you are applying for a scholarship. PVAS will notify you by May 1 to inform you if you have received the scholarship and the scholarship amount. We will also provide you with a link to a registration form for scholarship recipients. Spaces are held in each of our camps for scholarship recipients so that sessions will not be fill up before you receive your scholarship. 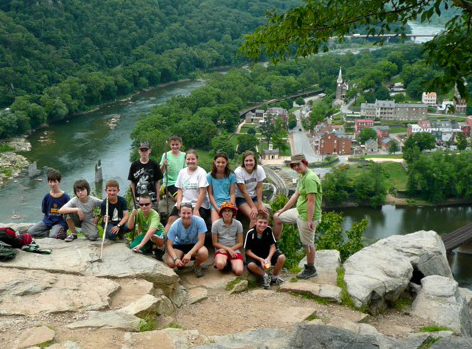 PVAS encourages aspiring young naturalists to consider attending an overnight camp. These quality nature camps can be life-changing and provide campers with an in-depth nature experience. A limited number of scholarships are available to attend overnight camps for youth ages 8 through teens entering grade 12. Campers’ families are responsible for transportation to and from the camp. Ages 11-15. Two- week camp sessions are July 9–23 or July 31-August 13. These two-week camps are located in Cooper’s Cove Wildlife Sanctuary west of Capon Bridge in Hampshire County, WV. Camper contributes $50. Ages 8-11. One-week sessions are June 30-July 3 or July 14-18. Located at Spruce Knob Mountain Center in Pendleton County, WV. Camper contributes $50. Ages 10-15. One-week sessions are July 15-21 or July 22-28. Located at Camp Giscowheco in Ohio County, WV, about 10 minutes from Wheeling. Camper contributes $50. Ages 11-14. One-week camp June 17-21. Located at Cedar Lakes in Ripley, WV, in Jackson County. Camper contributes $25. Ages 14-17. One-week camp June 10-15. Located at Camp Caesar in Webster County, WV. Camper contributes $25. Youth Camp, ages 8-14, one-week camp July 7-13. Teen Camp, ages 15 through teens entering grade 12; one-week session June 23-29. Both camps are located near Berkeley Springs in Morgan County, WV. Camper contributes $50.